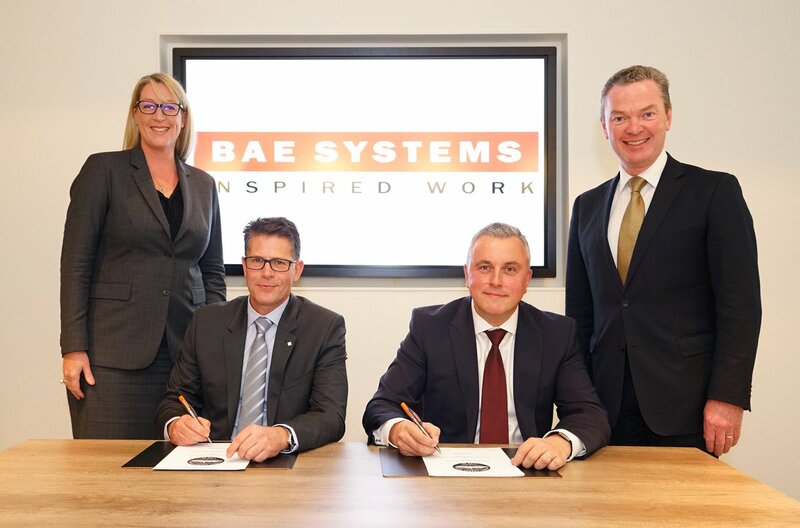 Liferaft Systems Australia (LSA) has secured a $3 million contract from BAE Systems to supply marine evacuation systems (MES) for three new vessels currently under construction for the UK Ministry of Defence. LSA, which previously worked with BAE Systems on the supply of MES for two Queen Elizabeth Class Aircraft Carriers for the Royal Navy, will supply four of its systems for each of three Type 26 Frigates, with the first ship to be delivered in the mid 2020’s. Managing Director Mike Grainger said the contract will allow the company to increase its workforce at its Derwent Park facility in Hobart. “LSA currently employs 62 FTEs, with this number set to increase to approximately 75 FTEs by early next year,” he said. He said a successful BAE bid for the SEA 5000 program could substantially increase the company’s order book for its marine evacuation systems. “BAE Systems has bid to supply nine Anti-Submarine Warfare Frigates to the Royal Australian Navy. If the bid is successful, the ships could feature our MES,” Mr Grainger concluded.